In First, Orthodox Jews Set Aside Prohibition on Entering Churches to Aid Houston's Christian Community - Breaking Israel News | Latest News. Biblical Perspective. In an unprecedented move that sets aside a long-held prohibition against Jews entering Christian houses of prayer, a team of Orthodox volunteers with Israel’s premiere search and rescue organization has traveled to Texas in order to help restore the disaster-struck region’s houses of worship, including churches. According to ZAKA Chairman Yehuda Meshi Zahav, the restoration of Gulf Meadows Church in Houston, Texas after it was damaged by Hurricane Harvey was not only permissible by Jewish law, but it was a “religious imperative to help, since every man was created in God’s image,” he told Breaking Israel News. Traditionally, Jews, and especially Orthodox Jews, do not enter churches as to avoid avodah zarah, foreign worship. However, entering the church for cleanup efforts was deemed permissible according to Jewish law. According to Zahav, ZAKA consults with Torah law authorities in everything they do. ZAKA, a United Nations-recognized humanitarian volunteer organization known for its efforts in search, rescue, and recovery in natural disasters as well as terrorist attacks around the globe, met with the Federal Emergency Movement Agency (FEMA) and the Orthodox Union before beginning their recovery efforts. Rabbi Tuly Weisz, director of Israel365 and a prominent advocate for Christian-Jewish relations, said the move signified a “new era” for the two faiths. “Throughout history we stayed far away since the church presented both spiritual and physical threats to our people,” explained Rabbi Weisz. “Nevertheless, Yehuda Meshi Zahav didn’t hesitate to send the Ultra-Orthodox ZAKA volunteers to assist the Gulf Meadow Church suffering from the aftermath of Hurricane Harvey. In addition to their unprecedented cleanup efforts in the church, ZAKA worked to restore a damaged synagogue, assisted with the delivery of kosher food to Jewish residents in need, and helped to make homes habitable for residents of Houston. 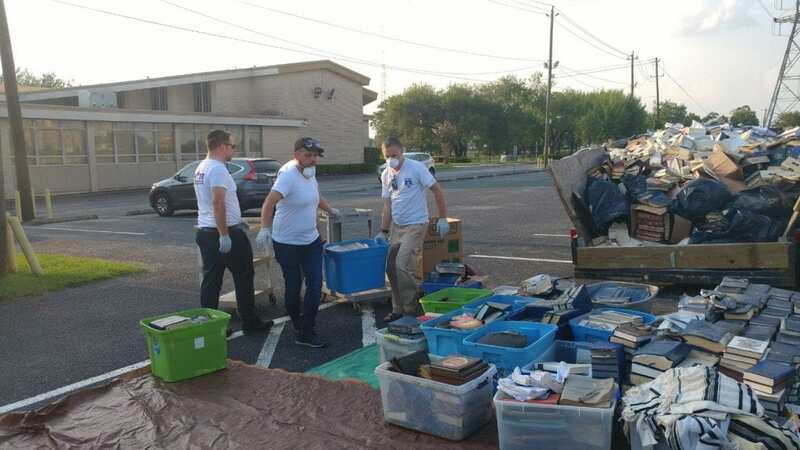 Jackie Wertheimer, a 10-year ZAKA volunteer currently working in the Houston cleanup efforts, told Breaking Israel News, “We are helping with whatever [the community] needs. On the first day we were in a synagogue and took out all the books and things inside. Thousands of books were destroyed.” When his team reached the Gulf Meadows Church to begin restorations, he was pleasantly surprised to find that next to the American flag there was also an Israeli one. According to Wertheimer, the community in Houston was just as surprised to see “a group of guys here, all the way from Israel. They couldn’t believe it. They were amazed and touched, and welcoming,” he told Breaking Israel News. “People get strength when they see the people of Israel coming to help them. The U.S. usually helps Israel, so how did it become the opposite now? Israel has their backs. When the U.S. needs help, we are coming. We are here,” he said. The pastor of the Gulf Meadows Church, Becky Keenan, found it especially meaningful that the religious relief team from the Holy Land had come to offer help. 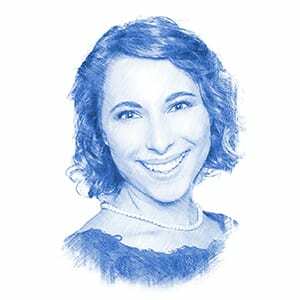 “We are blessed and privileged to number one have anybody come from Israel, but secondarily to have religious people come with shoulder to shoulder help, we are honored beyond belief,” she told Breaking Israel News. Lee Wunsch, the Head of the Houston Jewish Federation, has seen a burgeoning alliance form between Christian friends of Israel and the Jewish community in the past 25 years. “I think it’s a good thing for the State of Israel and for the Jewish people. Everyone was impacted in this disaster, and if we can work together to restore our city and our respective communities, it’s all positive,” he told Breaking Israel News. Indeed, the relationship between Texas and Israel is historically strong. As part of the American Bible Belt in the South, religious Texans tend to support the Jewish people and the State of Israel. But the support goes beyond the religious world to the political and economic realms as well. 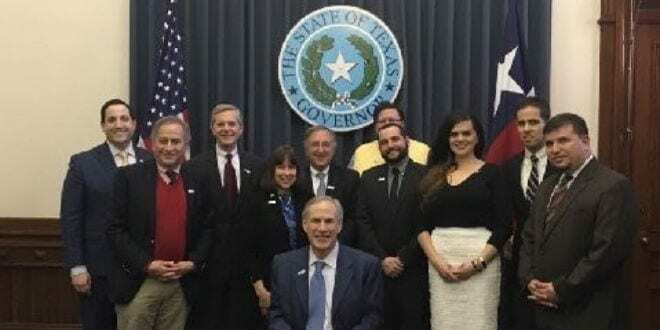 This past May, Texas Governor Abbott signed an anti-BDS bill on Israel’s Independence Day, and the relationship has further flourished since the mayor of Houston’s economic development mission to Israel this past June. Along with a delegation of Houston business leaders, Mayor Turner met with local Israeli economic, government, high tech, and biotech leaders. The mission sought to strengthen Houston-Israel ties, promote Houston as a high-tech business gateway and tourist destination, and forge new technological partnerships in energy, life sciences, and smart city management. According to the mayor, this visit was just the beginning of what he hoped would become a synergetic relationship between the city of Houston and the State of Israel. Though under unfortunate circumstances, that relationship has come quickly to fruition.